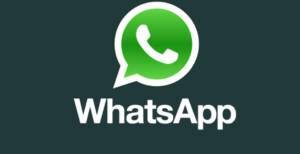 Do you want to know who has called you through WhatsApp and you would like to check the history of the application? You can check who is called you before on the application. You won’t need any program, software or application for that. You will able to do it through menu of the WhatsApp. You will find information on finding WhatsApp call history on the application. You don’t need to register any other service for that. Let us show you step by step. You can do these steps for both iPhone and Android. Run WhatsApp messenger application in your Android or iPhone device. You will see calls section at the bottom of the page or top of the page. Tap on “Calls”. Check “All Calls” and “Missed Call” on your phone. You can tap on accounts to call back them. That’s all. Now, you know who is called you on WhatsApp. If you have any questions about WhatsApp calls, you can ask through commenting this page or using our Questions and Answers service. All services are free and you don’t need to register How to Chat Online for using our services.